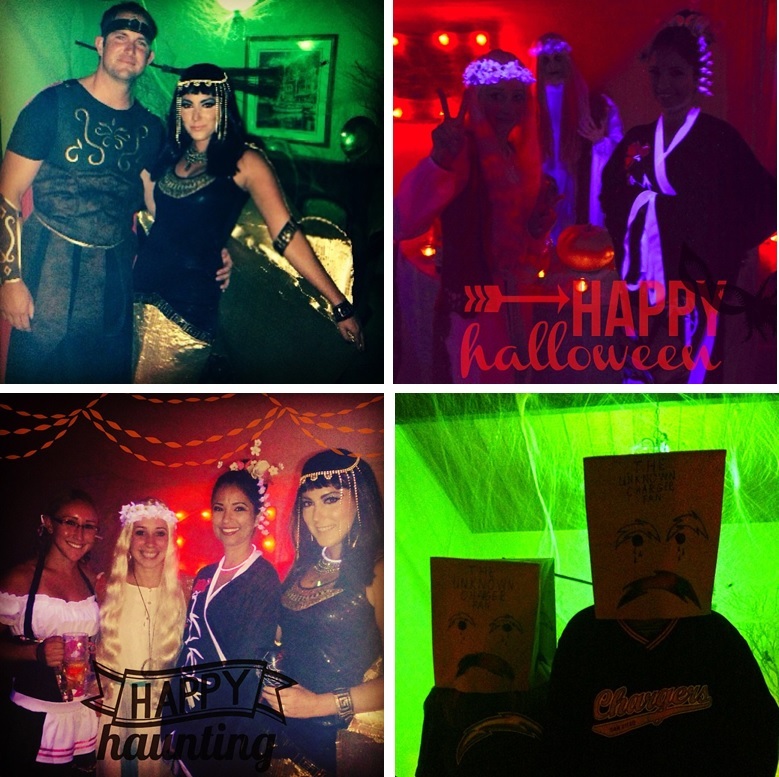 Last night we had a successful Halloween Party after we transformed my sister’s home into a Haunted House! 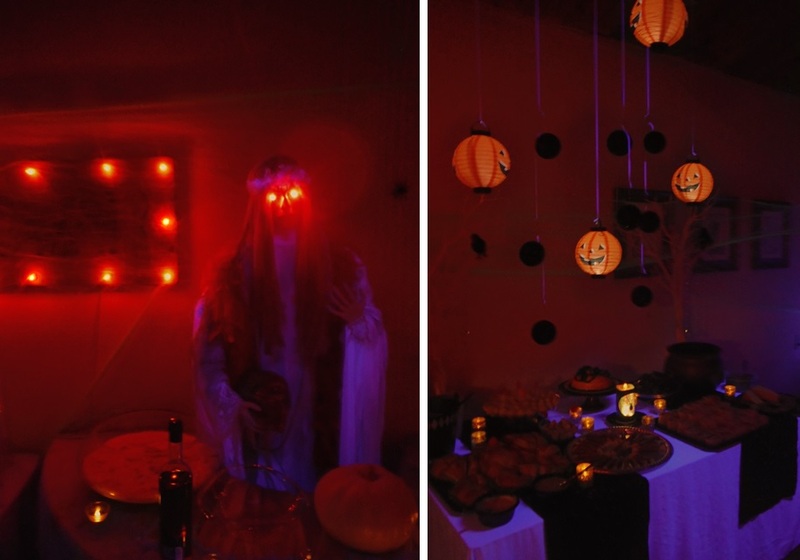 The main key was not only creativity, but lighting was crucial for optimal spookiness! 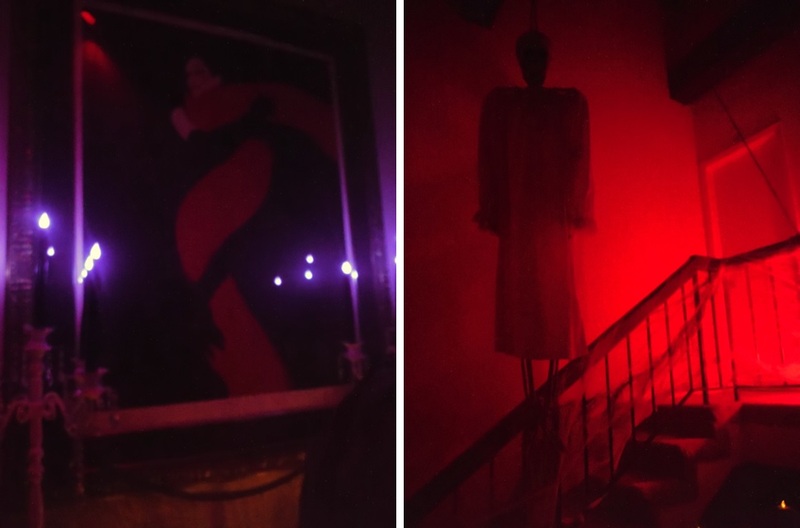 Between the black lights, strobes, and colored bulbs, you can’t go wrong. 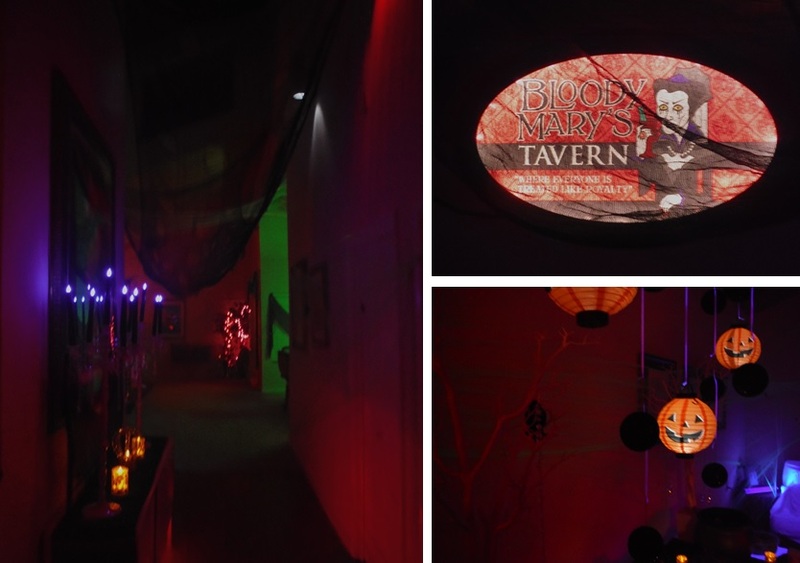 We sectioned off areas for one colored bulb to shine, and set the strobes on main attractions. 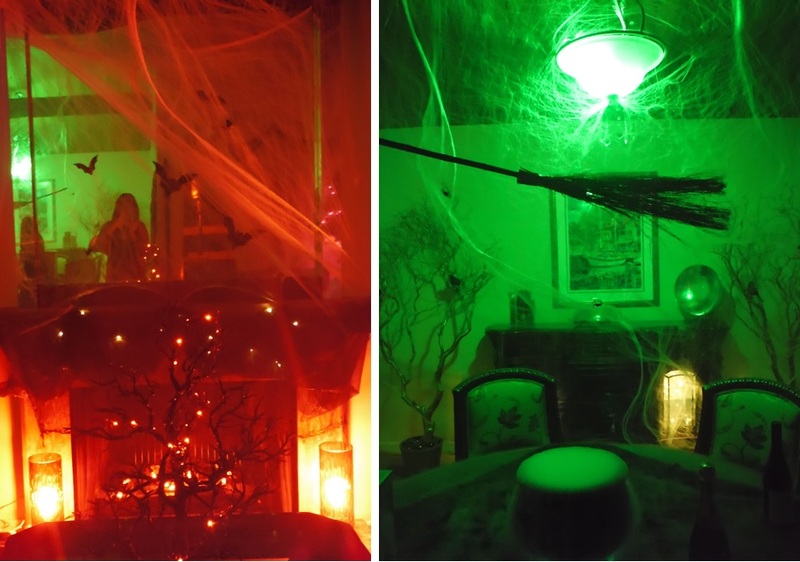 Don’t forget your ghosts and ghouls, cover everything with spiderwebs, and voila Haunted House success. In honor of my little sister’s birthday and our crazy love for Halloween, this DIY Lady Gaga Meat Dress Costume was fun to make and a major hit downtown Nashville for some Halloween fun! You will definitely get some looks wearing this fresh meat ensemble. We didn’t find that Mummy Blood Fabric, but look for any marbleized fabric, plus a red fabric to throw into the mix! Don’t be afraid to tear the fabric, rip it! We didn’t have a mannequin bodice, so your sister works just fine…just remember she isn’t a pin cushion! Have fun making your own creation, and remember….if you use your sister, remember she will have to be able to take the costume off, so don’t sew her into it until HALLOWEEN! Here is the DIY Video Tutorial we watched!